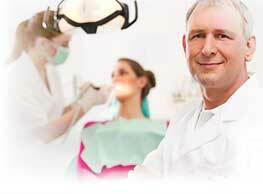 Dental implant candidate is a person who had good general health and oral health. A best candidate should have healthy gum tissues and adequate jaw bone is required to support the implant. A patient who wishes to undergo a dental implant will have to undergo comprehensive medical check up to determine his fitness for the procedure. The dental surgeon will evaluate the available medical and dental histories and suggest for X-ray and sometimes for axial tomography scan which will help him to evaluate the condition of the jaw bones like texture and quality of the jaw bone available for implant. The radiographic image will help him to determine the locations of adjacent nerves, sinus etc. Patients with uncontrolled diabetes and smoking habit are not suitable for dental implants because these are ample reasons for the failure of implants. Careful planning of the treatment process is very important in dental implants. The prostheses used for dental implant which are the products of the cutting edge technology also help to save the existing healthy teeth as no support from the adjacent teeth are not required in dental implant. These implants can also bear a pressure of 450 lbs/sq.inch while chewing as compared to 540 lbs/sq.inch capacity of the natural teeth. In this context it has to be noted that dentures can bear a pressure of 100f t lbs/sq.inch he pressure that a normal teeth can bear.